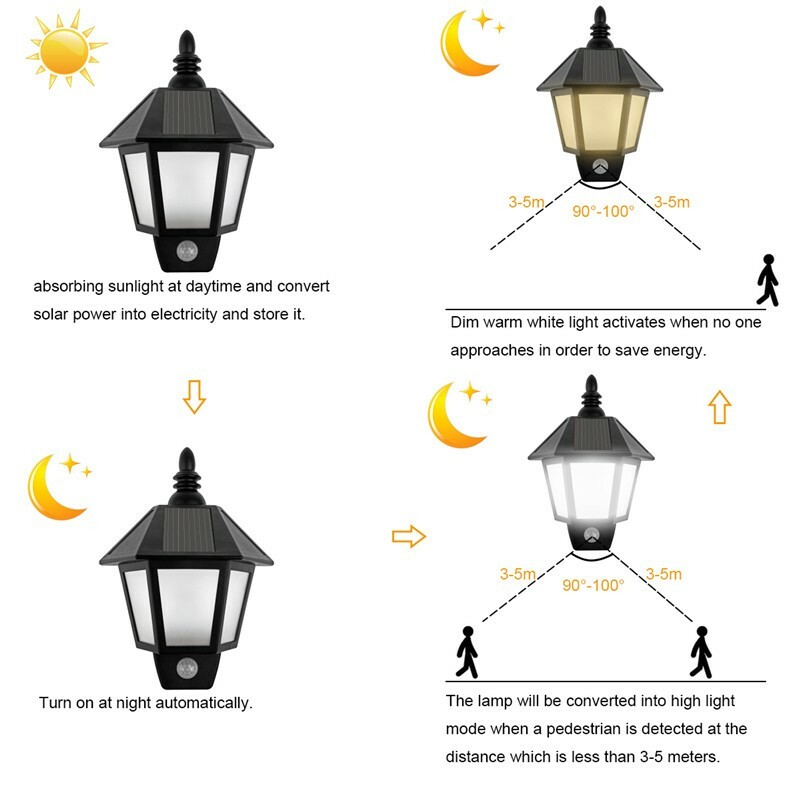 Auto Sensing: The light will turn on at night, and automatically turn off in the day time. 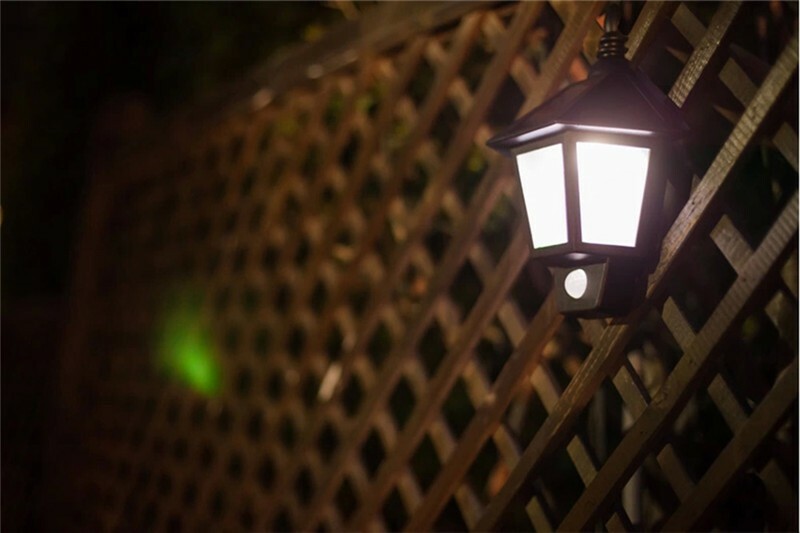 It will be warm white dim lighting at darkness until it senses motion, when sensing motion it will activate the high light in the darkness. 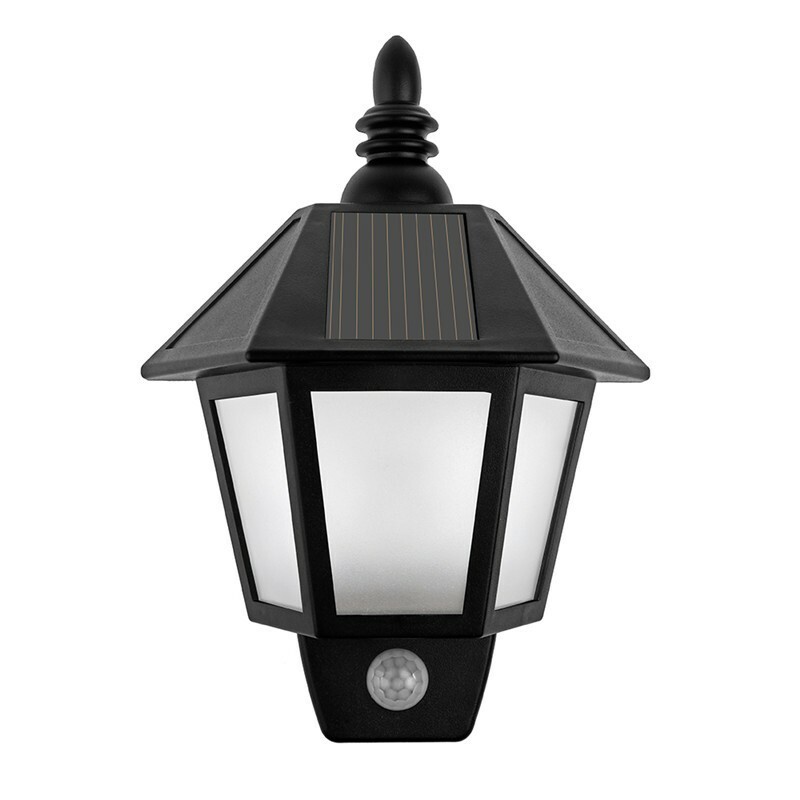 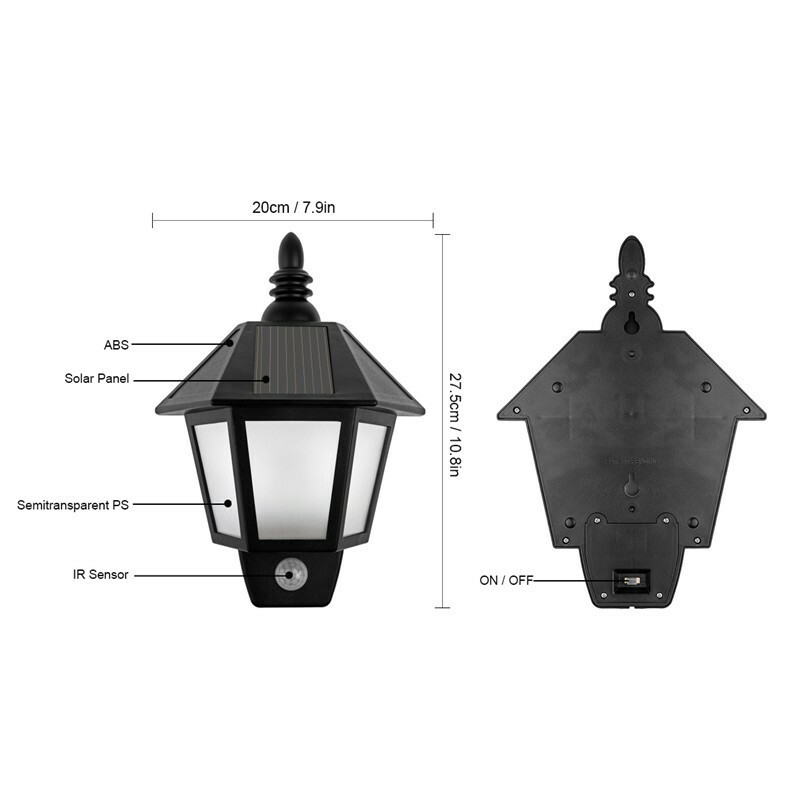 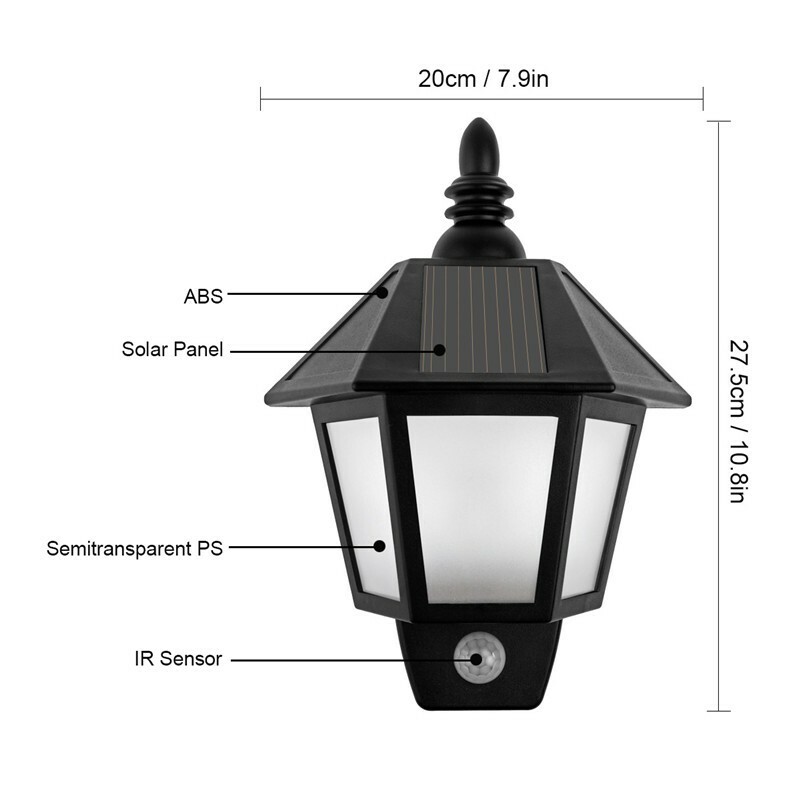 Built-in Battery: Rechargeable 400mAh battery, it needs 6-8 hours full sun exposure and will supply up to 10 hours continuously lighting time at night. 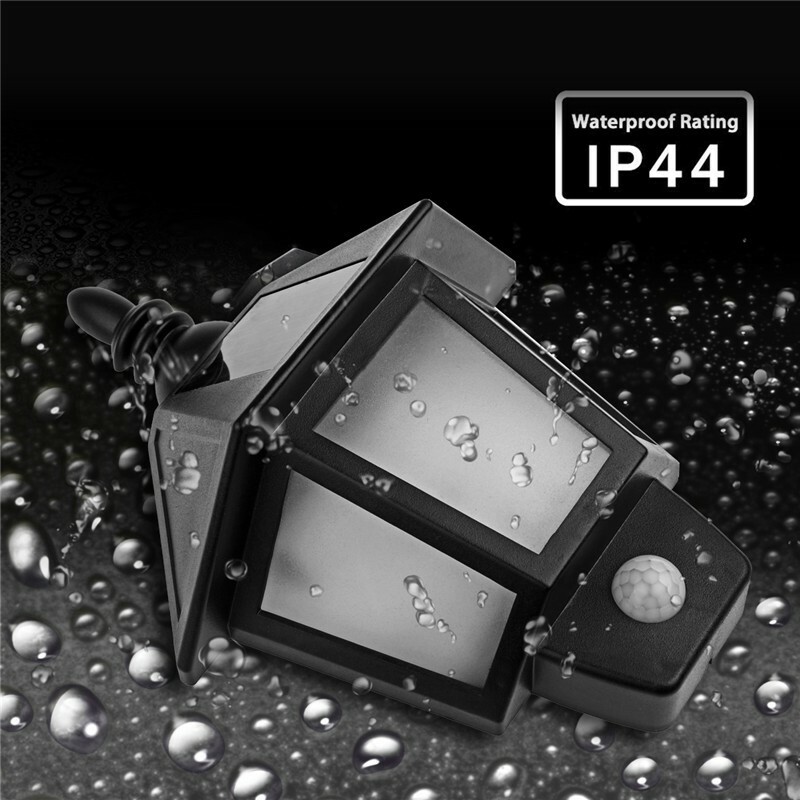 Safety and Quality Guaranteed: Comply with CE and ROHS certification; IP44 waterproof, heatproof and durable, environmental-friendly products. 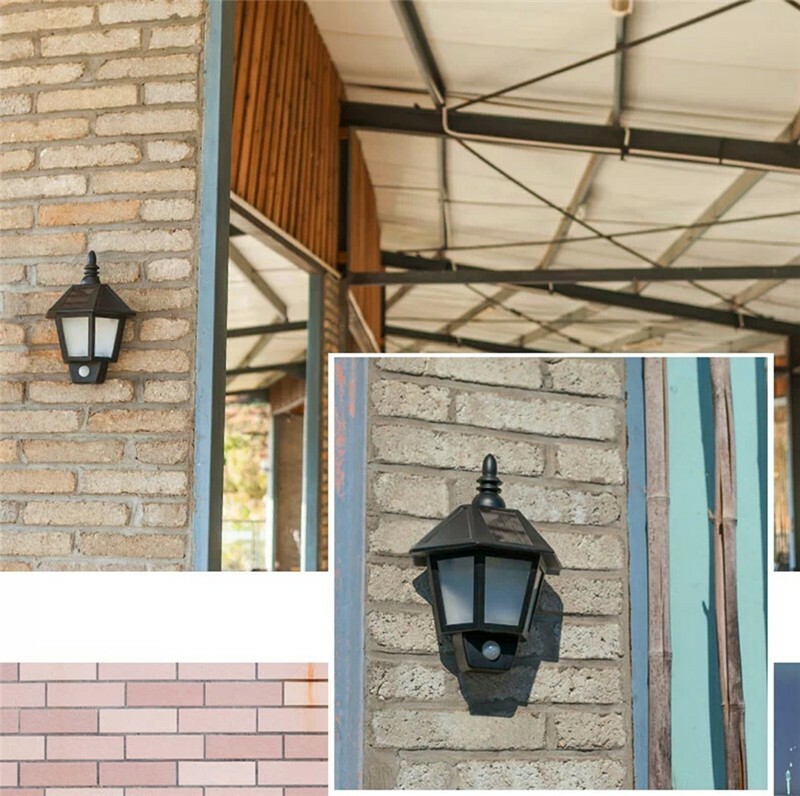 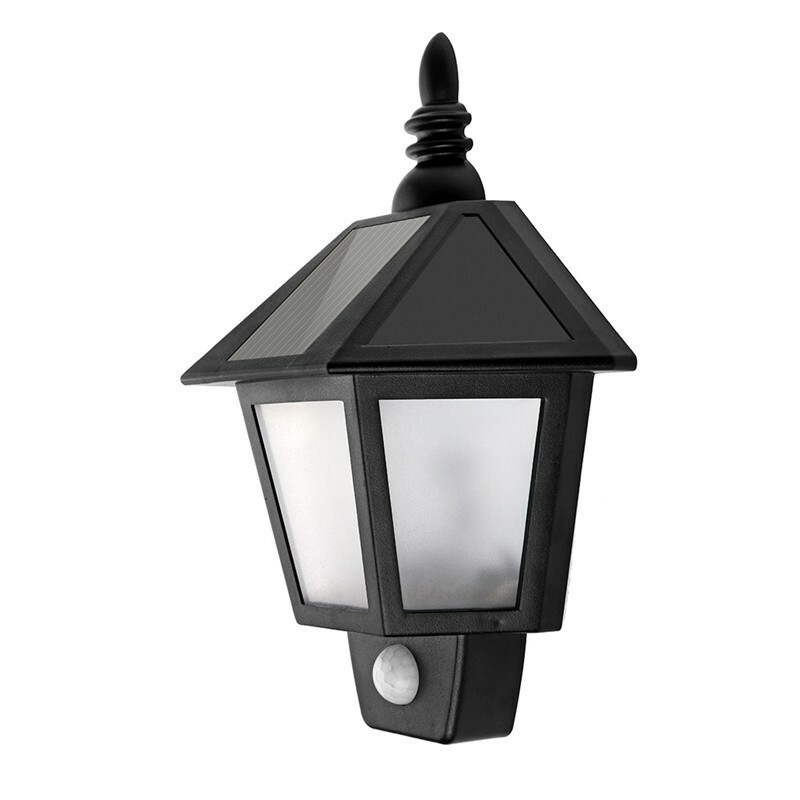 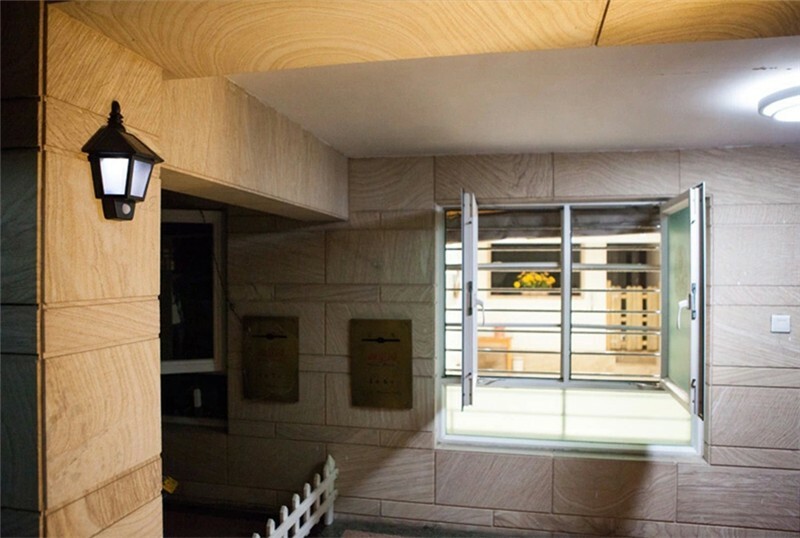 Great Garden Decor: Elegant half hexagonal shaped, and with three-face semitransparent lampshade, it casts a soft white light, widely used for lighting and decoration of fence, patios, garden, yard, roof, stairway, driveways and other outdoor places. 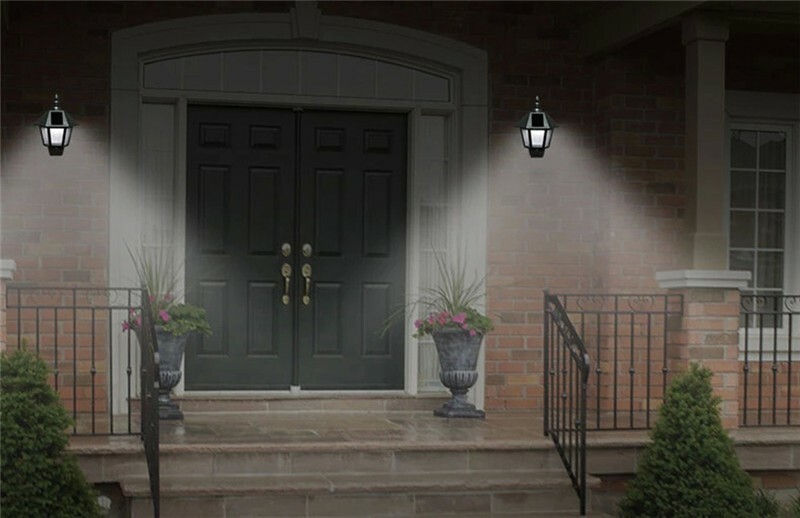 High Light: 3pcs LED bright lighting at darkness when motion is activated.